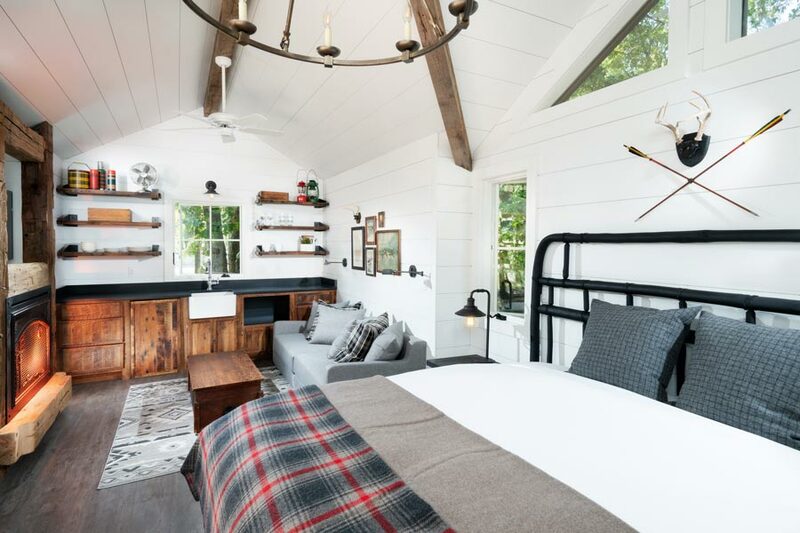 Discover Big Cedar’s newest overnight experience at Camp Long Creek, combining camping and comfort. Situated on Table Rock Lake, enjoy a serene backdrop while relaxing in one of the unique accommodations: camp huts, camp cabins or glamping tents. This new addition is specially designed for the whole family and features pet-friendly units and a full-service marina, all just minutes from the Big Cedar activities and attractions you love. These cozy cabins are the ideal escape for a family getaway by the lake. The One-Bedroom Camp Cabins include a private bedroom, kitchen and your own outdoor space. 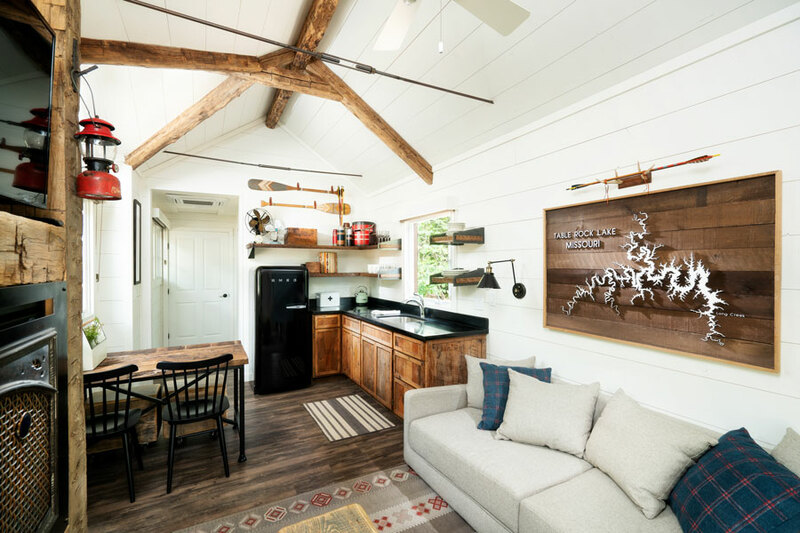 The Camp Hut at Camp Long Creek is reminiscent of vintage camp bungalows featuring an open floor-plan, small dining area and kitchen. 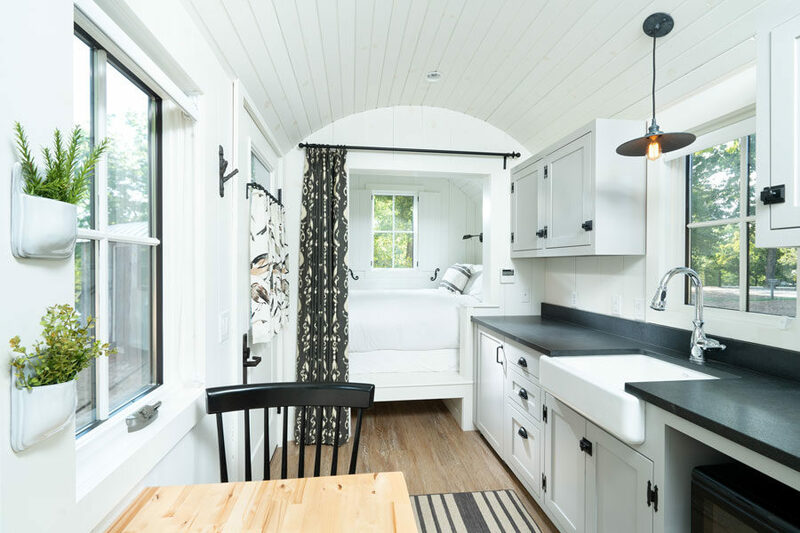 Located at Camp Long Creek, the Glamping Units combine camping and comfort. 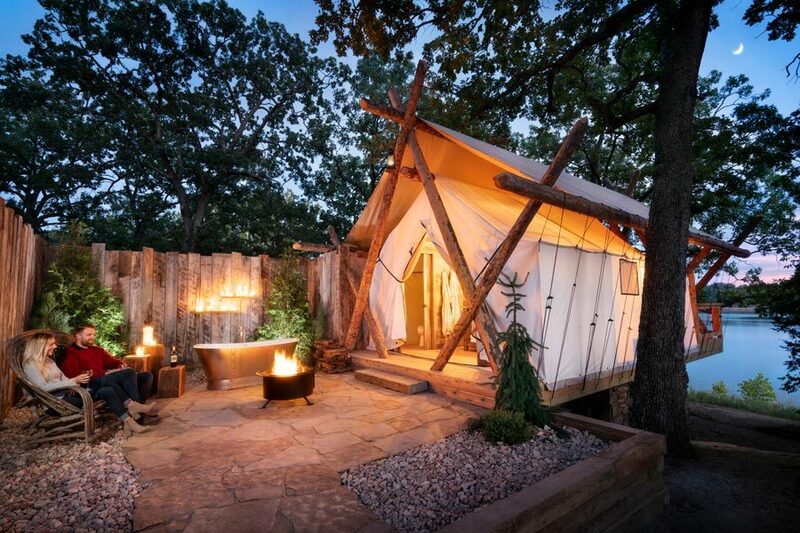 Don’t let the canvas tent exterior fool you. When you walk inside you will find wood floors, a king bed with a chandelier hanging above and heating and cooling.